A 2010 Movie Thanksgiving: Thanks for…Hmm, Any Suggestions? However, as far as movies go, the year to this point has been disappointing. Inception is, unfortunately, the only flick that I would highly recommend. I say “unfortunately” because at this time last year I had seen a bunch of films that I felt worthy of others’ time, for one reason or another. (If you have read any TBTS movie reviews, be they timely, Fashionably Late, or Old Movie New Review, you know that there are many ways to love a movie.) To be fair, I haven’t actually viewed as many movies in 2010 as I did in 2009, simply because there weren’t that many that looked interesting. I didn’t see Toy Story 3 or Scott Pilgrim vs. the World or even The A-Team. I doubt I’ll ever see Eat Pray Love, and it’ll be years before I see Harry Potter and the Deathly Hallows: Part 1 because I have seen only the first Harry Potter and won’t watch them out of order. Hell, 2010 is even the year we were informed that the prequel to John Carpenter’s The Thing went from an April 2011 release date to who knows when. In short, 2010 movies didn’t give much to celebrate. Some of that, admittedly, is my fault. This could be 2010's saving grace. Wow. However, December’s got a few tricks up its sleeve. 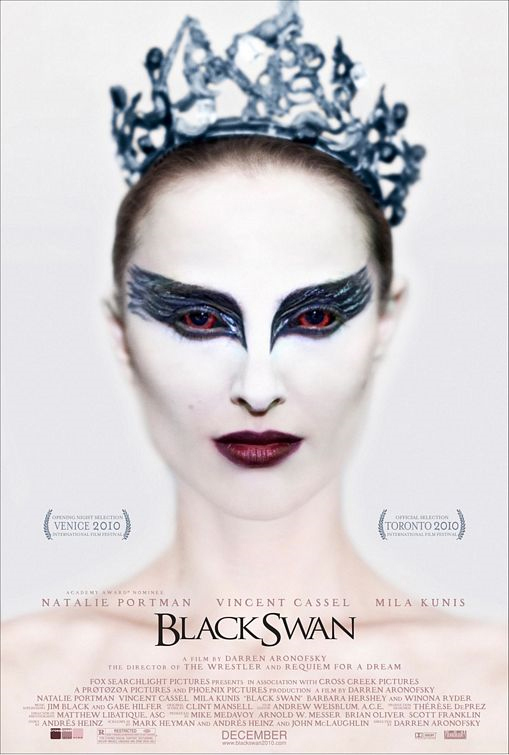 Since Summer Glau has softened my stance on ballerinas, I might actually see Black Swan: not only does it star Natalie Portman and Mila Kunis—and I may or may not have heard of a particular scene featuring them together—but it was directed by mindf*cker extraordinaire Darren Aronofsky. Tron: Legacy trailers have gotten progressively more awesome. Finally, a new Coen Brothers movie comes out on December 22, and I’ll watch anything they put on film. Fortunately for all of us, it happens to be their take on True Grit. I won’t say I’m looking forward to cinema in the waning days of 2010—the upsettingly bad Terminator Salvation extinguished my childlike excitement for movies, and I can never again allow myself to be disappointed so intensely. Perhaps I’m just looking for relief from mediocre films. I’d be thankful if the last few movies of the year gave me that.